In preparation for the 2017 Montessori Congress in Prague, MISP, in collaboration with NAMTA and MMUN, held seven interrelated International Montessori Adolescent Summits. 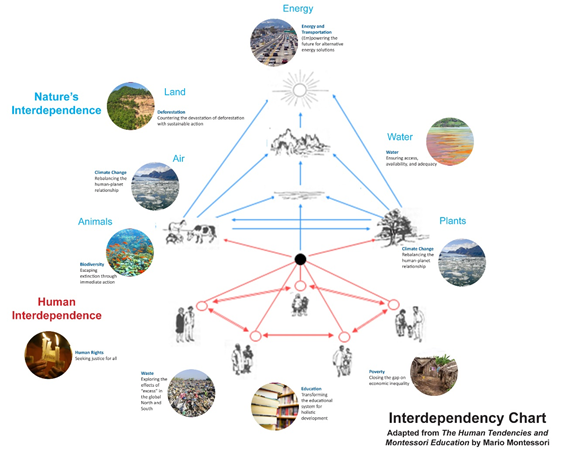 The summits corresponded to the seven active agents of Montessori’s Interdependency Chart. The selected themes are relevant to current events and intense ecological crises, which the students are addressing in their hometowns. The summits were implemented in seven cities around the world. The summits could be implemented around the world in a united theme because the web of life organization ties all summits together with regard to connecting interdependency. 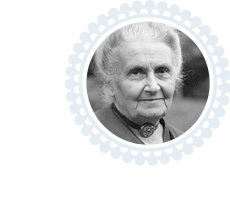 No summit stands alone because the web is interactive, converging on nature’s unity of life on earth, which is fundamental to Montessori’s view of modern science. The organically unified results of the summits were presented in Prague with interfacing and integrated results. At each of the summits, students created a call to action based on their research, interviews, and experiences. These call to actions are called manifestos. We use the word “manifesto” to mean that which you know to be true at your core and the steps you are going to take to make your beliefs a reality. You can read each summit’s manifesto below along with a consolidated manifesto which was presented at the International Montessori Congress in Prague, Czech Republic in July. • a hope to construct bridges across local, national, and international sectors. The momentum generated during these seven summits was magnified when summit participants worked with experts at the Prague Montessori Summit. Here they converged with students from five continents gathered at the International Montessori Congress in Prague, Czech Republic to develop local project to address global environmental and social issues. It was the first time adolescents have been truly integrated into a Congress; a giant step towards peacemaking within the Montessori adolescent community. Be sure to check our Facebook page for photos from the Prague Adolescent Summit. 2015: Water Summit, Washington, D.C.